Enjoy a fun 2.5 Hour Walking and Hiking Tour of Hollywood Walk of Fame and Historic Runyon Canyon Park above LA. Family Friendly with a great Outdoor Adventure in the Heart of Hollywood, with Amazing Views of the Los Angeles Skyline. Start on the Walk of Fame at the Historic Roosevelt Hotel. Explore Film Locations like Pretty Woman, Back to the Future, Lethal Weapon, and Iron Man 3. Soak in a Beautiful Los Angeles Sunset, and get many Photo opportunities with help and tips from your Experienced Tour Guide. Learn lots of insight and historical facts for a new perspective on Hollywood. Great Outdoor Activity for Everyone to enjoy. Contact us ahead for any Inquiries you may have. See You Soon! Exclusive Hollywood Sightseeing Tour Experience. Great stories and fun facts, plus get ready for an exciting photography opportunity on the Walk of Fame and City Views. Learn about the History and Juicy Stories of Hollywood, while walking up in the Hollywood Hills above Los Angeles. Explore Famous Trails and See great views of Griffith Park and the Hollywood Sign with the rest of the LA Basin. See Historic Movie and TV Filming Locations, Historic Hotels, Celebrity Homes and Famous Hangouts. Walk through the Dolby Theatre Outdoor Mall, The Oscars' Location, Disney's El Capitan Theatre, Chinese Theatre (Major Movie Premieres), Egyptian Theatre, Roosevelt Hotel, Plus Much More! 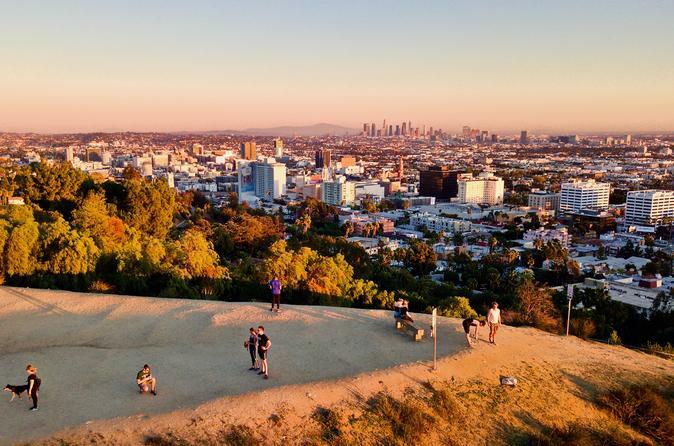 It will be still daylight during the Walk of Fame Tour, then the Hike in the Hills in Runyon Canyon Park to see a Perfectly timed Sunset, and glowing City Lights. Different Levels available from Moderate to Experienced trails.